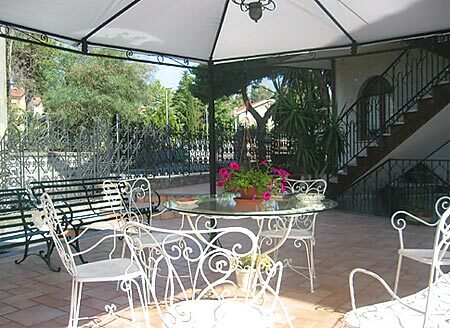 Ein Bed & Breakfast, das alle Erwartungen übertrifft ... Ein Superstandort, um Sizilien und die Etna-Region zu erkunden. Phantastische Betreuung und Organisation durch die Inhaber, man kommt als Reisender und geht als Familienmitglied. 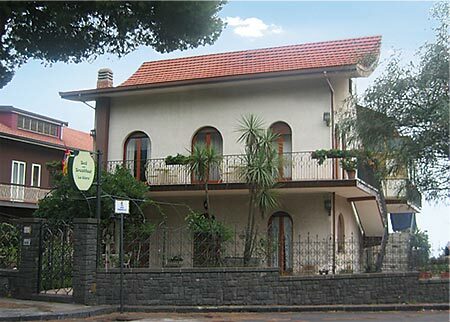 La Giara is a bed and breakfast situated at Nicolosi which is a small town in the heart of Etna natural park. One of the main features of the resort is the greenery all around, and many avenues with surrounded pine trees. 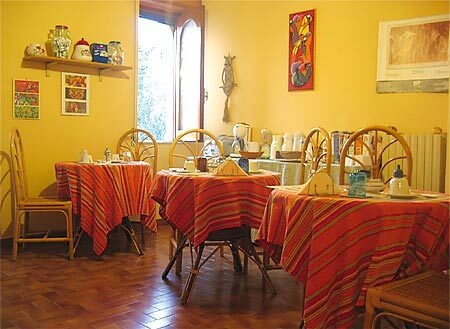 La giara is one of the most comfortable and friendly bed and breakfast, run by people very professional, who can also organize for you personal excursion in mount Etna and also all around Sicily accompanied by vulcanologic and naturalistic guides. Patrizia e Francesco during your stay will be happy to help you with a wide variety of leaflet and brochures about the Sicilian island. They can suggest and advice you about alternative places to visit, in order to discover and explore the cultural and artistic wonders of their beautiful island. 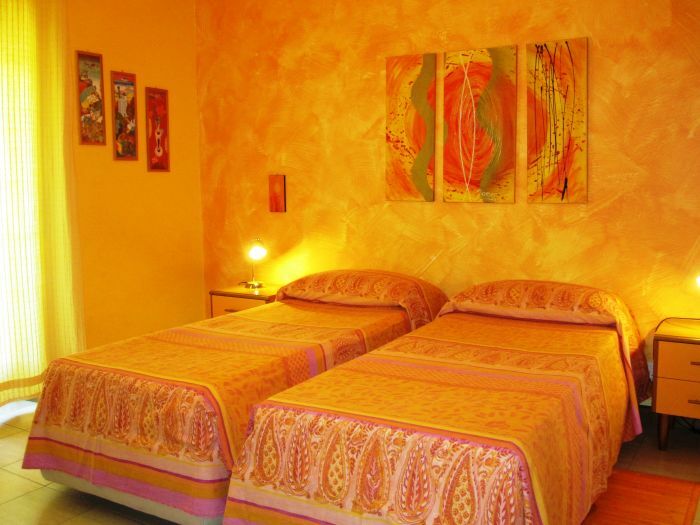 Every bedroom is been in a different wall colours, and vary furniture styles; rooms are very confortable, bright spacious and some of them with a sea view; air conditioning, private en suite bathroom, cable tv, central heating . 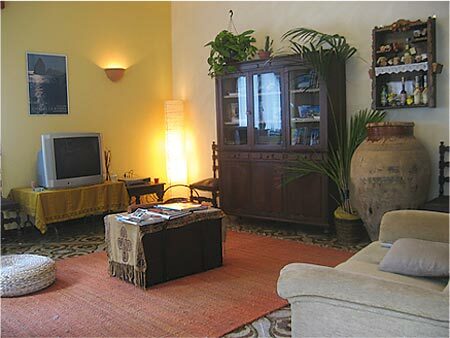 From the dining room you can admire the view of mount Etna. 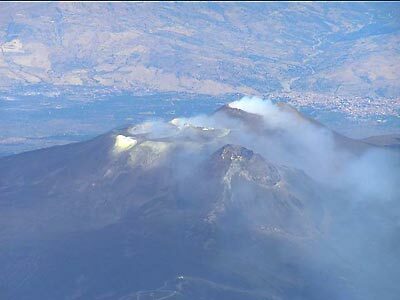 Mt Etna is the highest active volcano in Europe (3350 m). On the slopes of the volcano we find recent lava flows where no living creatures have yet settled, as well as older lava flows where groups of larches, beeches and birches are growing. Mt Etna is frequently in eruption: during the last 30 years an average of one eruption every three years has been reported. These eruptions lasted from 5 days to more than a year. - da 7 giorni al giorno di arrivo o in caso di mancato arrivo verrà addebitato il 100% dell'intero importo della prenotazione.